Women have been handing their skincare routines down to future generations since the beginning of time. Little girls have learnt how to wash their faces before bed by mimicking their mums. Teenagers follow in the footsteps of their cleansing, toning and moisturising grandmothers. And women in TV commercials are teaching habits to millions of impressionable females across the globe every day. Your skincare routine is learned behaviour and throwing something new and different into the mix can often cause confusion and apprehension. We know this to be true because our Biologi girls contact us every day asking how to use our serums. “I’ve got a skincare routine that works, how does Biologi fit in?” You said. “I already cleanse, tone and moisturise, why do I need another product?” You asked. So today, we’re here to answer those questions, and more. Keep reading for everything you need to know about how to use Biologi’s revolutionary serums in a daily skincare routine that will leave your skin hydrated, supple, and banish your individual skincare concerns. The Biologi skincare routine is as easy as 1-2-3. Remove dirt, makeup and excess oil with a good quality cleanser. Even though you’ll have cleansed before going to bed, your skin is still prone to toxins from your linen and the environment while you sleep. At night, dead skin cells shed and a thorough cleanse in the morning will remove them from your face to keep your pores clear and your skin tone bright. Choose your morning serum based on your individual skincare needs. Generally, we recommend Bd Luminosity face serum for daytime use. It’s 100% Davidson Plum extract and provides a barrier to harsh environmental pollutants. Once your cleanser has soaked in, use one pump of Bd all over your face and neck. Sunscreen is a daily essential. Allow a minute or two for the serum to penetrate and then apply sunscreen all over your face and neck. We recommend as high a factor as possible. While Bd serum protects from environmental damage, sunscreen is the only way to stop skin burning. We recommend using an oil-based or foaming treatment cleanser to remove the surface layer of dirt and grime from your face. Exercise caution as some ingredients can be quite harsh, particularly with foaming products. Always check the ingredients before use to make sure your cleanser doesn’t contain harmful parabens or sulphites that may cause a reaction in delicate skin cells. For your main cleanse, use a more gentle cream-based cleanser. This second cleanse will remove more stubborn makeup particles and will open the pores up further to help your serum penetrate the cells on a deeper level. Ingredients to look for in a cleanser are entirely dependent on your individual skincare concerns. As with all skincare products, we recommend a consultation with a qualified dermatologist to make sure you choose cleansers that work with your skin type and individual skin issues. Avoid being drawn into attractive taglines such as ‘all-natural’, ‘naturally-derived’, and ‘anti-aging’, and make sure you always take note of what’s written on the ingredients list. Again, choose your night time serum based on your skincare concerns. If you’re trying to work on a specific issue such as acne, repeat the Bd serum that you used in the morning. If anti-aging is your primary concern, Bk Rejuvenating eye serum can be used around the eye area or all over the face. It’s 100% Kakadu Plum extract and contains active natural vitamin C that works as an anti-oxidant to repair aging skin cells while you sleep. Twice a week add a gentle exfoliant to your night-time routine. This will clear away the dead skin cells to stop pores from clogging and brighten up skin tone. Don’t overdo exfoliation with harsh products as they’ll end up leaving your skin irritated. To choose an exfoliator that’s gentle on your skin and suits your needs, once again, we recommend a personal consultation with a dermatologist. And that’s it! The fastest, most straightforward skincare routine. Just cleanse, Biologi and go! Now you know what a Biologi skincare routine should look like, here are our top tips for using Biologi serum based on the questions you ask us. Not only does wet skin dilute the product, but it also changes the cell structure of the actives making them less effective in the process. We don’t add water to our serums, and nor should you. If you want to use two serums for different purposes on the same area, we recommend alternating daily or using one in the morning, and the other at night. If you want the anti-acne effects of Bd as well as the anti-aging effects of Bk, many of you have asked if you can simply put one on after the other. Each plant serum is perfectly balanced and crafted by nature. They each contain actives that work well together. Combining or layering serums changes the balance of the ingredients and may negate some of the benefits making both products useless. Let’s make this clear. When you choose Biologi, you no longer need moisturiser, eye cream or face masks. This is the hardest habit for most skincare users to break, particularly those with specific skincare issues such as aging, drying, or sensitive skin. But it’s true; you can throw them all away! Biologi serums are an all-in-one hydrating product and using moisturisers and creams over the top will only hinder the efficacy as the skin struggles to breathe so that cells can rejuvenate. 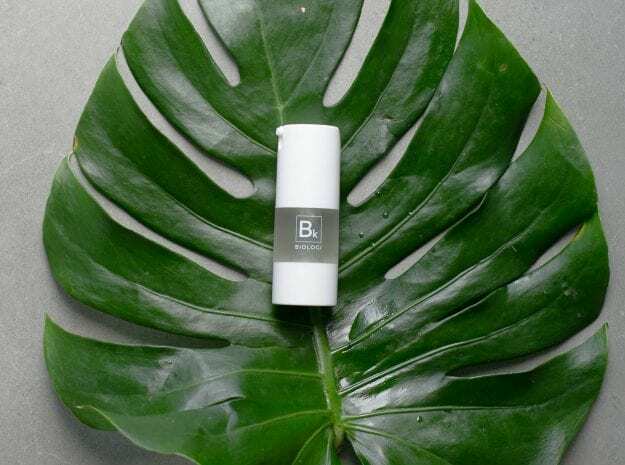 Biologi serums have active ingredients that effectively treat a range of skincare concerns such as aging, pigmentation, skin sensitivity, and blemishes. Adding moisturiser or cream to the routine counteracts those powerful benefits. Moisturisers clog up the pores that Biologi keeps clear. Eye creams contain chemicals that cause the sensitivity Biologi works to cure. And face masks dry out the skin cells that Biologi hydrates and nourishes. Biologi is breaking the mould in skincare, and we’re always on hand to answer your questions. Head over to Instagram and follow @biologiserum or send a message through Facebook and our skincare expert will answer your questions directly and honestly to help you achieve a skincare routine that gets results. Thank you for these beautiful products. Just wondering whether there is a sun screen you know of that you would be happy to recommend that would not undermine your products. Hi, I am thinking of using your product. I am taking note of the fact that I will not need toner or moisturiser. And that I should use an exfoliant and sunscreen. Can I use my makeup primer? Yes, you can definitely use a primer- we recommend looking for one that does not contain any silicones as this can cause breakouts.